For many consumers, the assumption is that a package will arrive on time. And when that doesn’t happen, the response is usually a loud, “WHERE THE HECK IS MY PACKAGE”? Consumers have great faith that America’s logistics and transportation companies will make good on delivery promises, and little tolerance when something goes awry. Worth noting though, is the intense coordination that must take place for a shipment to arrive on time. Most consumers think of their delivery company as the individual who actually shows up with their package. Few take the time to consider the individuals behind the scenes. 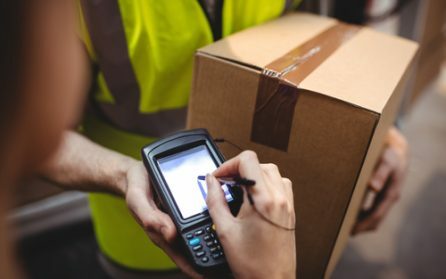 Or, to consider the tremendous innovations that have occurred to get us to the point that delivery companies can determine a shipment’s arrival with pinpoint accuracy. A new white paper from Purolator International, “From the Model T to Driverless Vehicles: Evolution of the U.S. Logistics Industry,” follows the path of manufacturing and logistics developments, beginning with Henry Ford’s Model T assembly line. As the paper points out, the logistics industry has become so advanced and technology-driven, that no fewer than 100 colleges, universities and trade schools now offer degrees in supply chain management. While traditional logistics-type jobs including truck drivers, forklift operators and package assemblers will always exist, demand is strong for individuals with technology and analysis backgrounds, along with international affairs, and expertise in any number of industries including retail, health care and industrial machinery. And, the U.S. Bureau of Labor Statistics has a very rosy projection for potential employees – logistics-related jobs are expected to increase by 22 percent by 2022, with an average salary of $73,000 per year. Next time you are waiting for a package, take a minute to consider everything that has to occur to ensure an on-time delivery. To download a complimentary copy of Purolator’s new white paper, please click here.